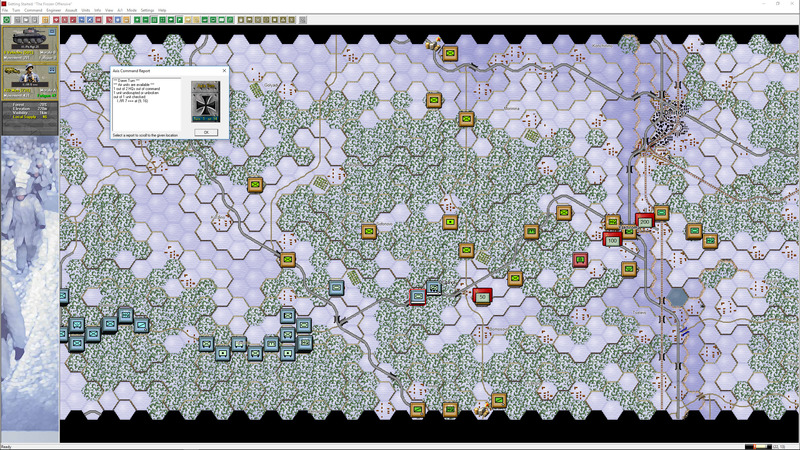 Panzer Campaigns Moscow ’41 Gold Released! 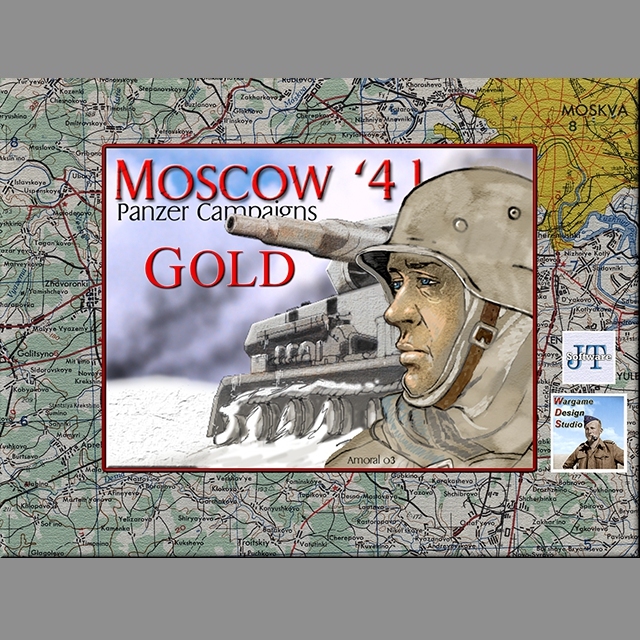 We’re happy to announce that Moscow ’41 Gold is the next Panzer Campaigns Gold release. 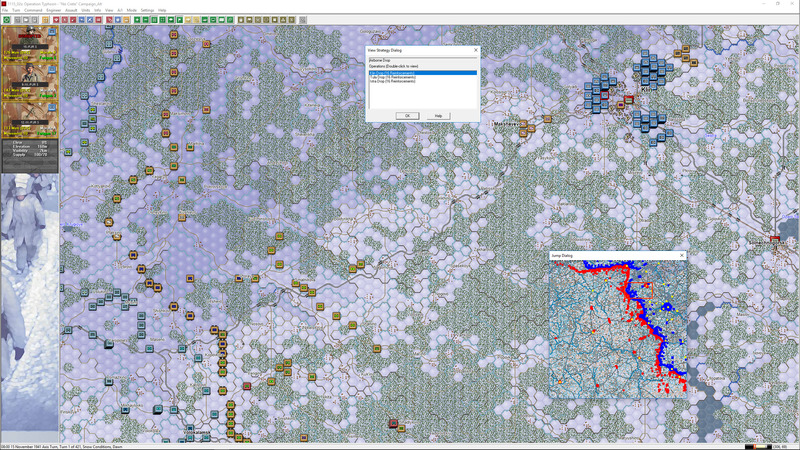 Moscow ’41 is one of the largest games in the Panzer Campaigns series. 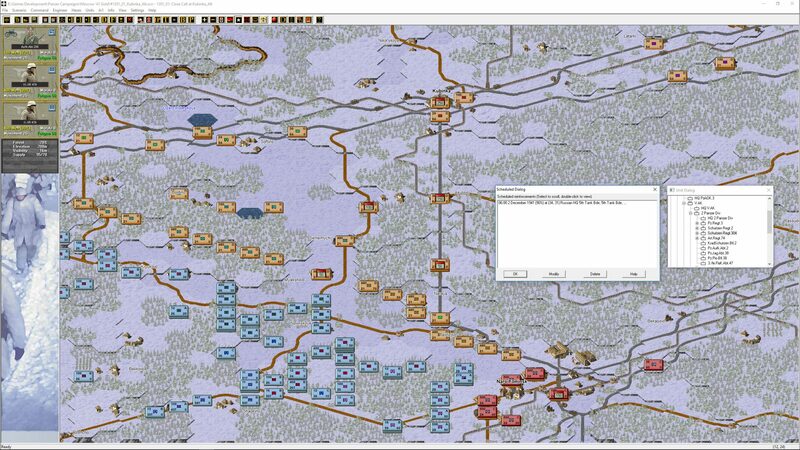 Including both the late summer/autumn campaign around Vyazma and the last ditch German assault on Moscow starting on November 15th, there is a situation to satisfy most hardened enthusiasts. The Germans have quality and technology on their side but this is brutally compromised by the Russian winter – something the aggressors were ill-prepared for. Both historical and hypothetical scenarios are included. One version of the campaign game even uses the 7th Fallschirmjaeger Division, assuming that the airdrops at Crete did not occur. Code update – disruption no longer halves movement during the day and is reduced by one third at night. Code update – reinforcement ‘place all’ has been migrated across from the First World War Campaign series. 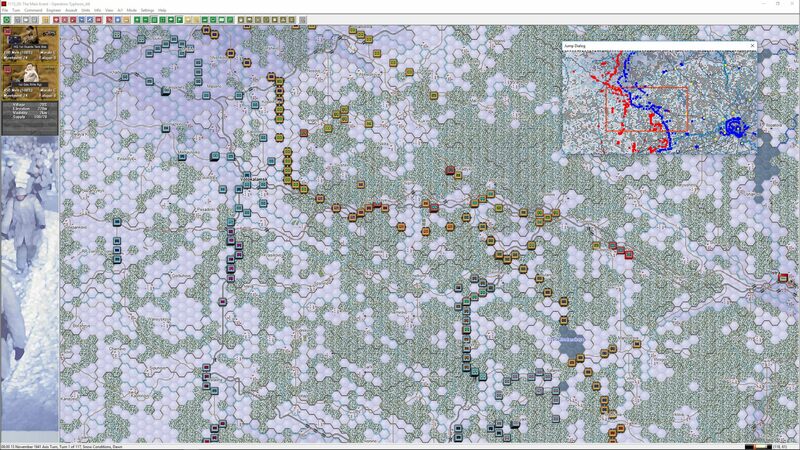 ← Panzer Campaigns Budapest ’45 Gold Released! And only two more east front PC titles to go! Great work and really appreciated. Checking email has never been so much fun! I currently own Stalingrad 42 Gold. 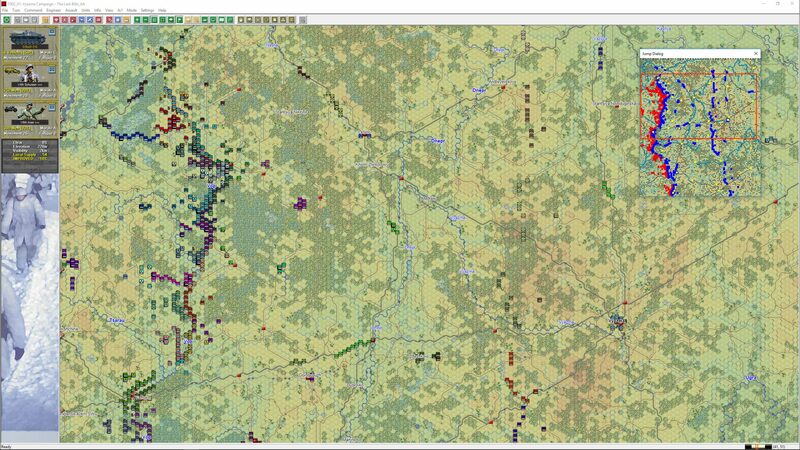 I noticed on your second map graphic that there is a dialog box called “unit dialog”. I cannot find this icon in my Stalingrad 42 Gold game. Please point me to where this located. The Unit Dialog is part of the scenario editor. That screenshot is not in game but is the editor. lol……..went a little crazy trying to find it………..big thank you here….might be handy if it was in the game. 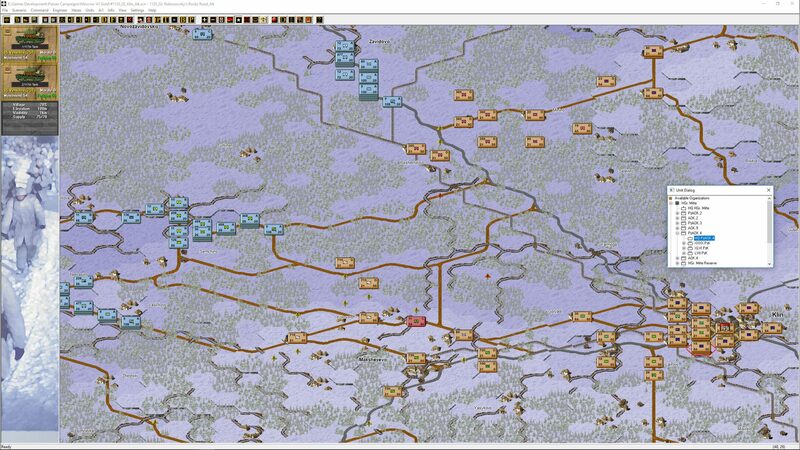 which of your wonderful games has the opening scenarios for Case Blue, 1942 strategic summer offensive in southern Russia between 28 June and 24 November 1942? We haven’t done Case Blue (at least not yet). The northern forces for that offensive are included in Fall Kreml (the hypothetical second attack on Moscow) that was the cover operation for Fall Blau. Fall Kreml starts on June 28th 1942. If we did Case Blue, it would probably be 3 or 4 standalone games with a final master campaign to tie it all together, a bit like Danube Front. Don’t read too much into my commentary here, but it has been discussed…. Really am enjoying these updates. 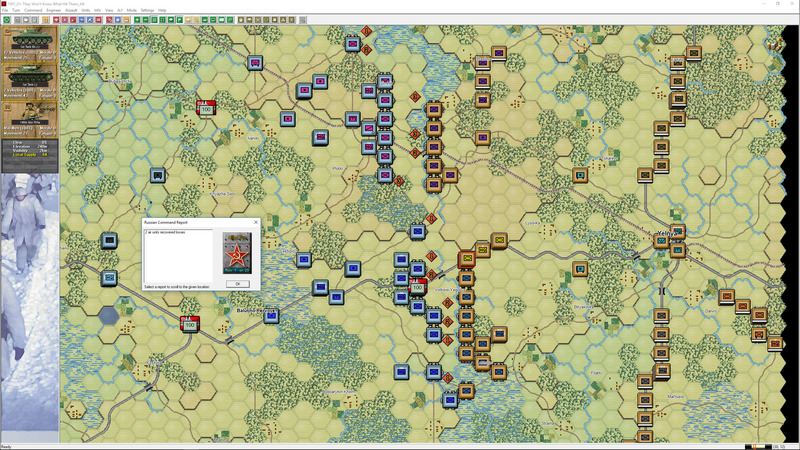 Kharkov 43 and Korsun 44 are all thats left for the east. The problem is once I get done editing a new scenario I get an email that another update has been released! I like the kampfgruppes with the captured soviet tanks. Im not a hundred percent sure that is anything new. is there any possibility that unit box with all the pertinent information will have an upscale feature? 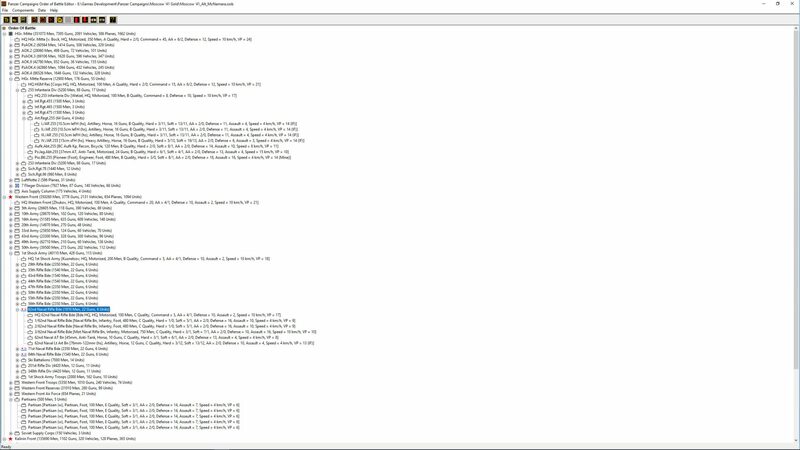 I find it impossible to read the data when right clicking on the unit box. why can’t that box double in size when right clicking on it? I am currently pbem Stalingrad 42 Gold. I have reached the Don River and my German engineers do not have bridging or ferrying equipment. What was the intent of the scenario designer with respect to river crossing. 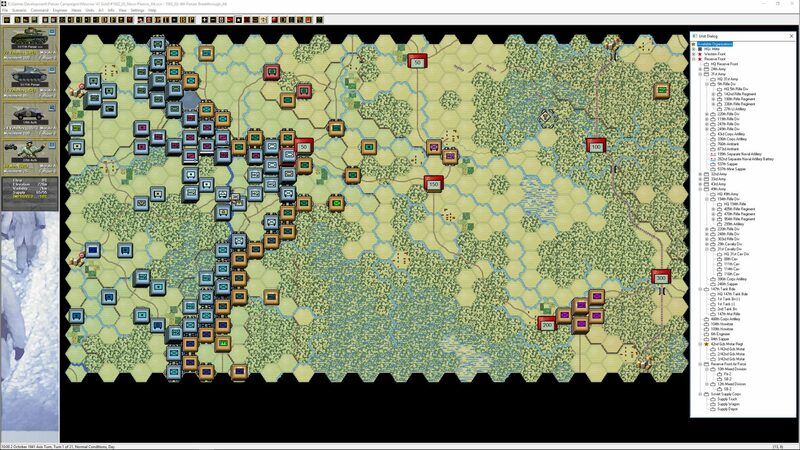 The Russians no matter how badly beaten and driven back, can easily defend the designated crossings. What am I doing wrong or overlooking.